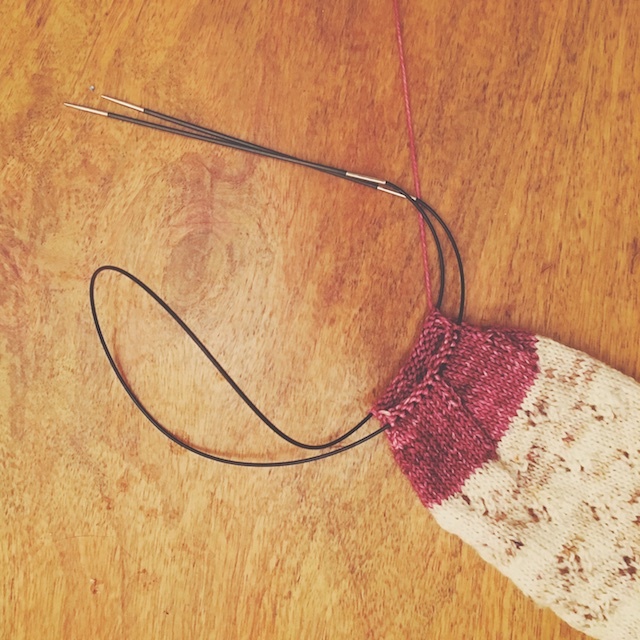 My So- Called Handmade Life: Am I a Sock Knitter Now? I think I'm officially a sock knitter, guys! This is pair number 6 of the year, which means I'm almost over the hump in my Box o Sox/ Year of the Sock challenge. 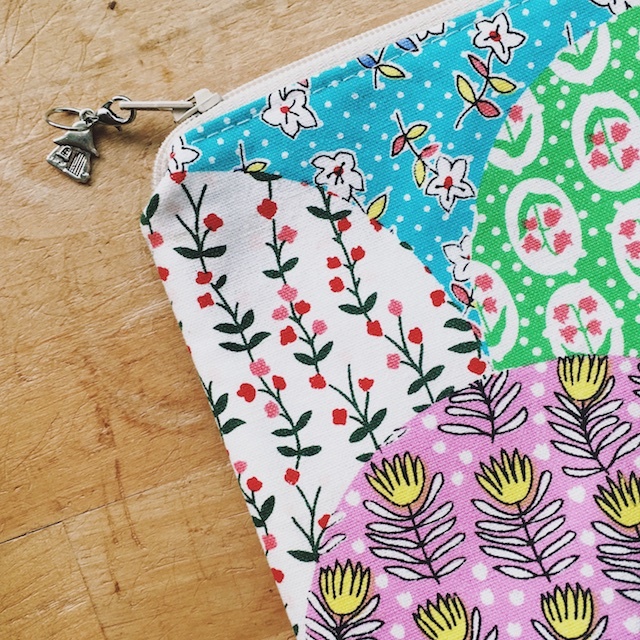 This one is Wildflowers and Honeycomb, by Olivia Villarreal. It's so pretty and is teaching me some new sock knitting tricks. And what better design to knit, as a newly inaugurated sock knitter, than one that is full of firsts. From cast on to closing the toe, I learned several new techniques with the first sock. 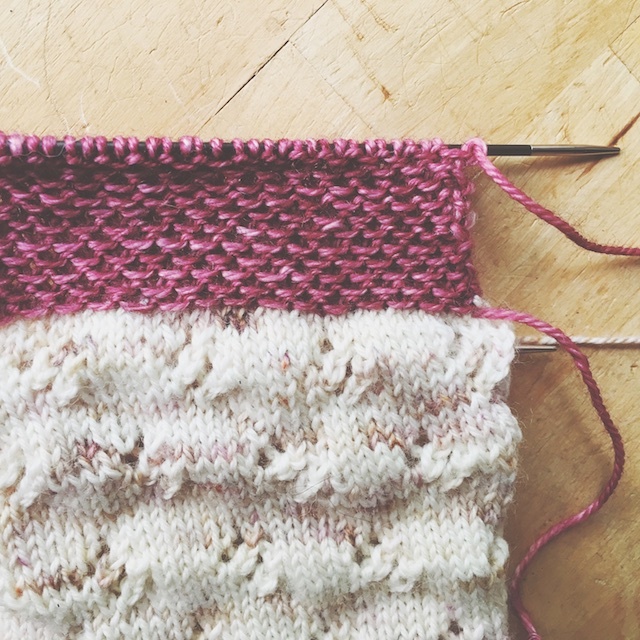 Phrases like "new techniques" can sometimes sound daunting, especially when it's for a big sweater project. But techniques become bite sized and easy to incorporate when your'e just knitting a couple of socks. I'm really enjoying this type of slip stitch heel and the toe is like nothing I've ever done on a sock. This is also part of Red Sock Blue Sock Yarn's Summer Knit-along 2016 (#RSBSYSummerKAL2016). My socks are knit in their Mille- Feuille colorway, with In the Study for the contrasting heels and toes. I am so in love with this colorway. I'm thinking it would make an awesome Light Rain sweater. I may have to ask for a sweater's worth for Christmas. This KAL is still going strong. It doesn't end until August 31, so there's plenty of time to join in. You've got to see how these look worked up in different colorways in the KAL thread. 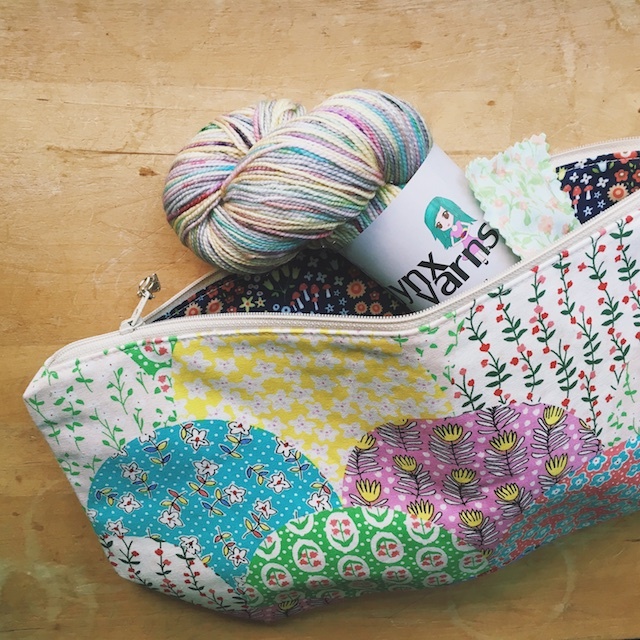 Speaking of Olivia, this is a project bag from her new shop, Handmades by Olivia, with my next sock project stashed inside. I'm thinking I'll try another vanilla sock pattern, but with an afterthought heel- another first for me. 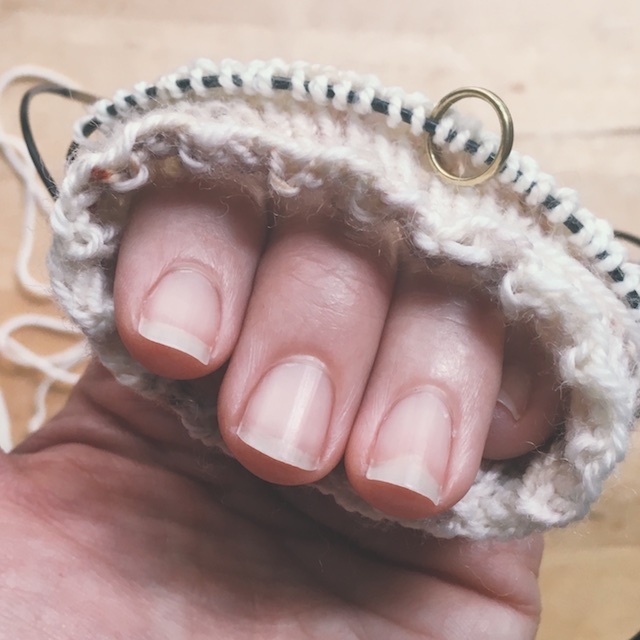 How are all of your knitting goals coming along? Are you participating in Operation Sock Drawer or Box o Sox KAL? I feel like most everyone is waaaay past their 6th sock in the Box o Sox KAL.